Peaceful apartment in Ullanlinna, the most wanted area in Helsinki. Helsinki Design District is surrounded by trendy restaurants, bars and shops. 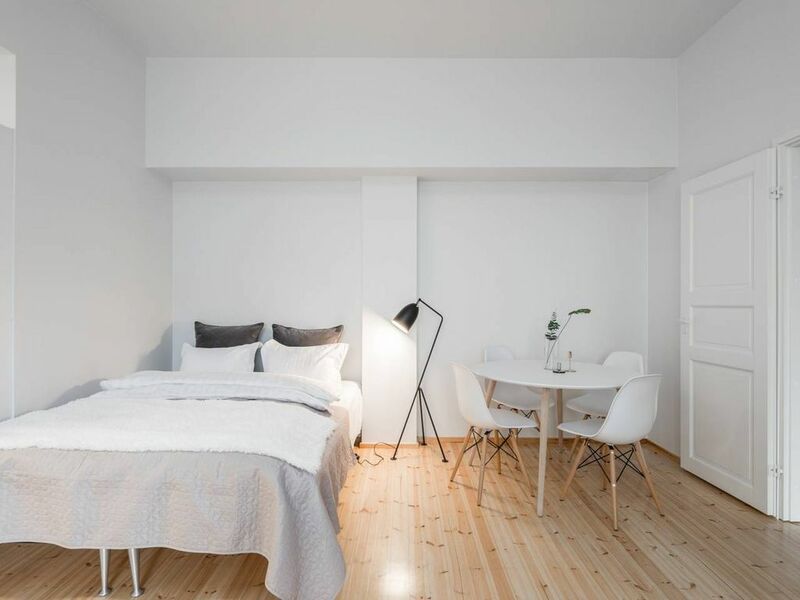 Apartment is perfect for a family vacation or work trip to Helsinki. We have also our own sauna! :) Apartment and kitchen is fully equipped. We have made every effort to make the apartment as welcoming and as well appointed as possible. If you love city bustle and want to have everything within reach, you would love to stay here. This apartment is 60 sqm and located in the center of Helsinki, Ullanlinna district. Bedroom with 2 beds & livingroom area that include kingsize bed and convertible sofa for 2 persons. Suitable best for 4 and max for 6 persons. One bathroom with shower and own sauna! Walk-in wardrobe for bags and clothes. Privet entrance to the apartment. Wireless 4G internet connection, hairdryer and an iron are available. We will provide you with clean sheets and towels. Feel free to use everything in the apartment. This is one of the oldest and wealthiest parts of town and you can walk the streets here enjoying the Jugend-style and gothic looking buildings that were constructed in the early 1900s. Property was nicely furnished and clean. The location was great - walking distance to many things and tram and bus stop within couple of blocks. We were with our adult children (5 people total). It was ok but not sure if could fit more. It was very warm the week we stayed and hard to get air circulating so somewhat uncomfortable - no fans. This is due to weather not the owner. Property is nice and we enjoyed our stay. Excellent location, spacious and clean, well stocked with everything we needed - including a sauna. Our Finnish friends, who live in Espoo, were jealous! Perfectly located flat from where Helsinki is easily explored. Nice and clean with a cozy sauna. Warm beddings.